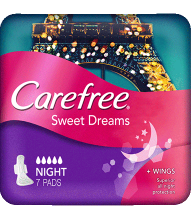 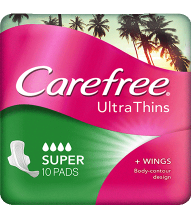 CAREFREE® has looked at the way women move, sit, run, sleep and play to create a range of pads for worry-free protection to suit your different needs day and night. 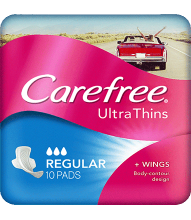 Try our slim and flexible Ultra Thins with FreeFit™ technology and Extra Pads range with its RAISED INSTACAPTURE CENTER™ for maximum protection. 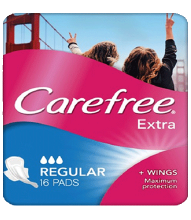 So, no matter where life takes you, count on CAREFREE® .